Photo: Yesu (pictured at center) is grateful for his family at our India Boys Home. “My father is a lorry driver, he got married, and his first wife was died because of jaundice and liver problem. Before she died she gave birth to 2 girls. After his first wife died, he married my mother, she gave birth to 2 boys. I am the eldest son to this mother, and she gave birth to my younger brother. After him she was died because of cancer. When she died my father became sick and started to drink alcohol, not-stop drinking and smoking. He did not take care for us, and after 2 years my father he got paralysis stroke, he is on the cot up to 1 year. In these days, no one is there for us to take care of us, so we 4 of all started to begging for rupees and for food in the bus-stand areas as well as in other centres where people are gathered, and many times we use to go to pick the waste papers and waste water bottles etc. My elder sister use to sell them to feed us, we use to beg for food at house to house every day 2 times. Some people use to give us last night remained food when we beg them. In those days we do not have a shelter to us, even it is winter we use to sleep on the floor in bus-stands or railway stations. No blankets to cover us, many times I felt so bad when think that I am an orphan. It is a bad life with many shamed issues. Though we are struggling to fill our stomach, so I went to a work shop to do the work, but I am a small boy, they did not accepted us, begging is the only way to us. There are many things to share here, when we are going to beg, some people rejects, some will beats us, some will use bad words towards us, some will call us in their houses, they use to give us hard works in their houses, if we do their work they will give us food, etc. The redemptive conclusion of this story was made possible because a sponsor stepped forward to underwrite Yesu’s needs at the orphan home. You can make a life-saving difference, too. 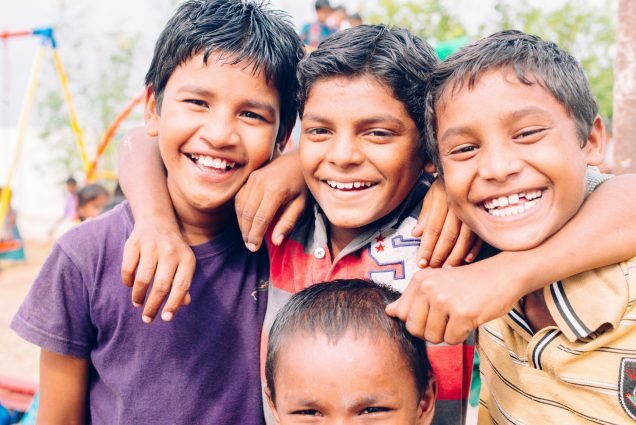 Many orphans are awaiting sponsors — visit peacegospel.org to give an orphan child the gift of a friend and encourager.